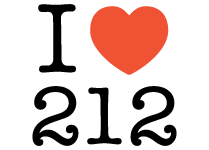 I've been living in Manhattan for 16 years and have never been able to get a 212. Now I have one! Highly recommended, it was affordable and easy to port the number to my wireless carrier. Great, easy experience—customer support is immediate and left me confident in securing my telephone number. Was able to port over the number without a problem! Wonderful experience!! Buying the new number was a good experience. Porting the new number through Google Voice web site was a bit more challenging, but if you attempt to port the # while 212 help is live via Chat, you should get through the Google voice porting process with relative ease. Tip - Have a printout of the Porting directions 212 provides next to you when attempting the porting process. Success is in the details, and the details are in the directions! So keep the directions handy and you probably won't need to chat with 212's help, although help was a good experience. David is incredibly efficient and professional, I’m delighted to be a customer. In my last purchase, a mistake was made — but his strong follow-up and commitment to handle the issue blew me away and locked in my customer loyalty. I’ll be doing all of my number purchasing through him going forward, plain and simple. I was very happy with the service 212areacode had offered. I would recommend the service to others as well. When I needed a 212 number for my dog walking company, no provider could give me a 212 number, which was frustrating.. Then a friend told me about 212areacode.com out at a bar so the second I got home I went online and purchased a number within 10 minutes.. It was really simple to have the number ported to my Verizon blackberry the next day and I was in business! Living in Manhattan, you expect a legit businesses operating in Manhattan to have a 212 number.. This is a great and easy way to avoid waiting for one from a service provider! I wouldn’t know about their customer service because it just worked.. no hassle ! Thanks guys! I'm extremely happy with my purchase from 212areacode.com For many years I wanted to get a 212 area code number but because I live in the bronx it wasn't possible. Thanks to 212areacode I was able to get a really nice number. I highly recommended! To whom it may concern, I wanted to send a note to say thank for the great service your company has provided me. Yesterday I purchased a cell phone and my provider (like many) did not have a 212 area code available. My boyfriend told me that I am able actually buy a 212 # (who knew!) so I did my research and found your company on the internet. I chose your company because as I was looking through your website and it seemed reputable and was VERY informative. I called my provider (AT&T Wireless) to ask if something like this (porting a purchased 212 number) is possible, and they informed that it would work. I took a chance and purchased the number. The entire process was simple and so detailed in instruction. I called my providers' porting department (which you conveniently listed the number for) and I think it took less than 5 minutes for the whole transition! Amazing!! Thank you again! I will recommend you to anyone I come across in my situation. I am very impressed with this website. Wonderful service, with many follow up calls to insure that everything went smoothly , highly recommended! Thanks David! This weekend I had my recently-purchased 212 number ported over to my preferred cellular provider. It was a quick and painless 15-minute process made simple with the information sheet that you provided. I must say that I had a healthy skepticism going into this process, but your web site won me over with two things. One was all the media links, and the other was the reasonable pricing. I figured that at $45 for the personal, I could take the risk. Suffice it to say, I'm very pleased with 212areacode.com and will recommend it to others. This was surprisingly easy and professional. I had questions on how the transfer worked and these guys got right back to me. Did this for my cell but thinking of changing all our hertaste.com numbers to 212. Thanks again, Rob Founder & CEO of HerTaste, Inc. I started getting some weird phone calls and text messages on my old 917 number. After a week of trying to tell people that "Kenny" or, even better, "Baby Kenny" wasn't at this number, I decided to look at my options. I remembered hearing about 212areacode.com and took a look at the site. I stumbled across a phone number that ended in triple 3s as did my then current sell phone number and decided that the extra cost was worth it to maintain a little semblance to prior number (and I think now this would probably qualify as an exclusive). I made the purchase and within 2 hours, AT&T had ported over my new number and I was texting and emailing everyone my new digits. Their first response, "How did you get a 212 number on your cell?" At first I let it be my little secret but then I let them in on the info of how to get that elusive area code. Even the woman at the AT&T store wanted to know how she could get one and I gave her all the details. It's been a great conversation piece and finally after almost 12 years in NYC, I have a 212 number. I didn't buy it...I earned it! 212areacode.com made it all possible.